For a long time, ticks were just a small, localized problem. Very few regions suffered from significant tick populations. However, ticks are now more wildly spread, and they are causing problems for cat owners all over. Not only are they everywhere, the climate of many places mean that ticks are a problem year round. All it takes is four degrees above zero for ticks to be an active problem for you and your pets. Many pet owners have dealt with fleas in the past. They are small creatures that make your pet very uncomfortable and carry a host of different diseases. Fleas can live for a great deal of time, even when owners are actively treating the animal. As such, it is important that the treatment happens on two fronts. The animal itself must be treated and so must the area the animal resides in. Ticks are a little bit different in their life cycle. Unfortunately, while ticks are unlikely to infest your house, it only takes one tick to cause major illnesses. The main concern with ticks is Lyme disease. Lyme disease is a significant illness, which, when untreated, can cause a host of substantial symptoms. It is also very difficult to diagnose, as the symptoms vary greatly from case to case. Currently there are only a few products that are labeled for safe treatment against ticks in cats – They usually also deal with fleas very well. These preventative treatments are typically topical solutions that are applied to the back of your cat’s neck. The duration of treatment options ranges from one to three months. Make sure you avoid products containing permethrin as they are very toxic to cats. Talk to your veterinarian to find the best flea and tick prevention for your kitty. With the risk of Lyme disease being so extreme, taking extra steps to protect you, your family, and your pets is recommended. The ticks can sneak into your pet’s fur, leaving it plenty of time to latch onto anyone in your household. While preventative treatments provide protection for your pet, the tick can still infiltrate your home. To prevent this hidden threat, look through your pet’s fur every day. 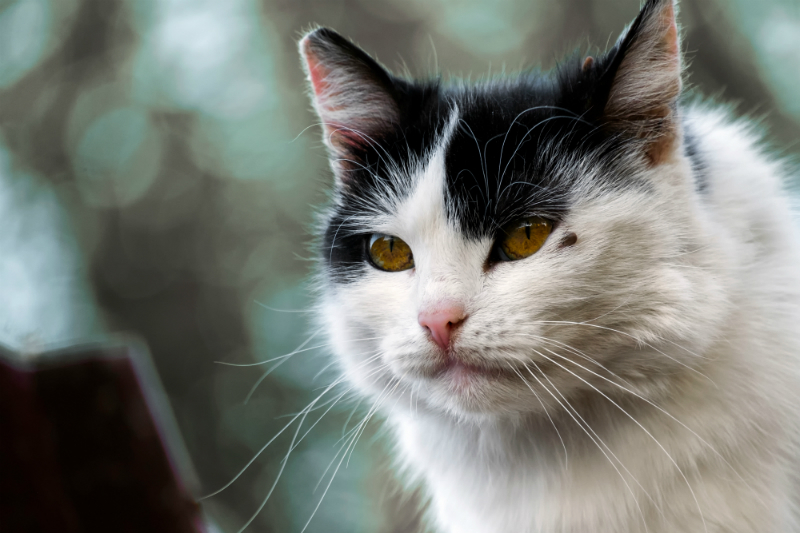 Your cat is going to be at a lower risk than a dog who is regularly exploring the woods. However, they are still at risk no matter how little exposure they receive. If your cat is regularly out in the woods, more caution is required. Fleas are uncomfortable, infest your home, and can transmit a number of diseases. Ticks also transmit diseases between animals and humans. Of these diseases, Lyme disease is a significant concern. To protect your health, and the health of your pets, be sure to take the right preventative measures. A topical application gives your cat the protection they deserve from both ticks and fleas.